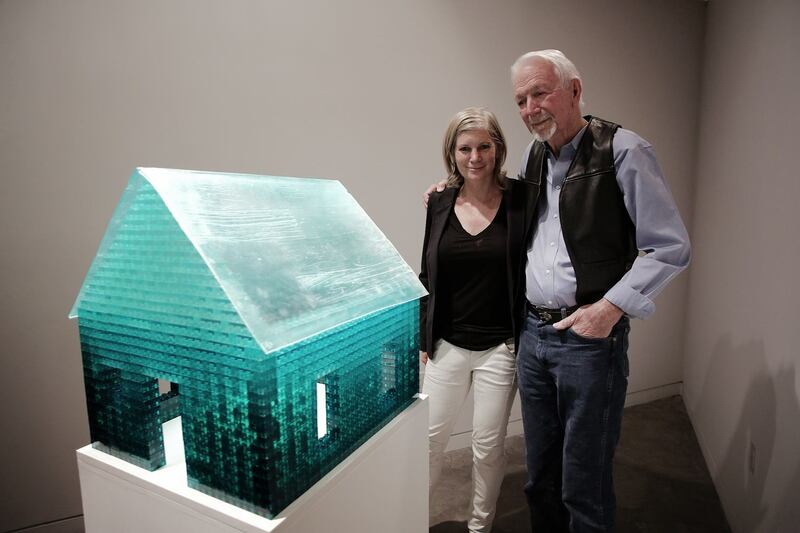 Artist, Lisa Bartleson, and Jack Brogan standing next to “The House That Jack Built”. 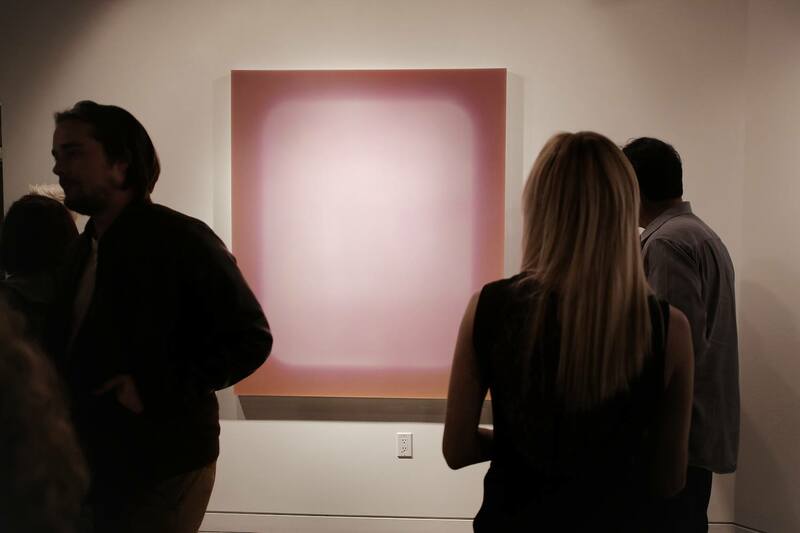 Brogan is an important facet of the Southern California art scene and has aided in the fabrication of many artists’ works, including Bartleson’s resin pieces. In 1967, the artist’s father, Jack, along with friends and family, built a cabin in the Cascade Mountains in Washington State. It was a rugged environment with unending possibilities for exploration and discovery. The cabin was typically filled with kids spending hours building make-believe cities and worlds with the building blocks known as Legos. This sculpture is a rendition of the cabin — connecting the fond memories of place and time with the tangible object — a cabin constructed of Legos. 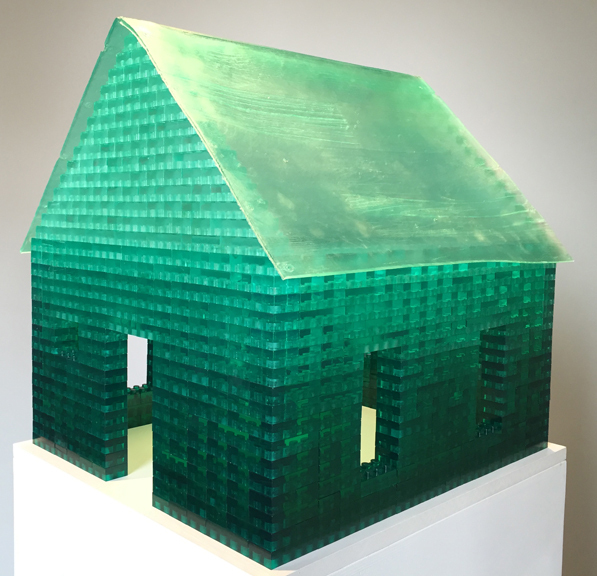 The House That Jack Built is one sculpture in Bartleson’s body of work, The Memory Project. This project is concerned with erosion of object and erosion of memory where the artist cast nostalgic objects that conjure memories from her childhood. The artist would like to thank Jack Brogan for helping her realize The House That Jack Built.